Following exhaustive tests, the renowned construction industry supplier Hilti decided on LieberLieber’s Embedded Engineer for Embedded Systems for Enterprise Architect. Vienna/Kaufering next Munich – Following exhaustive tests, the renowned construction industry supplier Hilti decided on LieberLieber’s Embedded Engineer for Enterprise Architect. Roman Bretz, CTO of LieberLieber Software: “We are proud that we could convince the Hilti development team of the benefits of our Code Generator after a one-year pilot phase. This confirms that we can also generate UML models from complex code which suits the very high requirements of the embedded industry. Moreover, our approach allows already existing code to be integrated without a problem – which is decisive for entering running projects.” As a partner of Sparx Systems, LieberLieber creates solutions for the optimized, user-friendly implementation of the popular UML modeling tool Enterprise Architect, used by over 300,000 users world-wide. LieberLieber Embedded Engineer is especially aimed at embedded software developers and software architects in the area of Embedded Systems, but can also be useful for testers and integration managers. The solution enables code generation from UML structures, state machines and activity models, and creates platform-independent C++ and MISRA-conform C-Code from UML models. The topic of code generation has occupied Hilti developers for several years, therefore everyone is happy to finally have found a suitable solution in LieberLieber uml2Code. One of the key conditions for the selection of LieberLieber Embedded Engineer has been that it cannot presuppose any special requirements (such as a framework). Already-existing code should continue to be useable, and taken over into the entire solution problem-free. In addition, the Generator must also be open for company-specific adaptations. “When implementing other code generators, these requirements were not fulfilled. Therefore, it soon became clear that the approach of LieberLieber was very practical and promising for us,” highlights Fuchs. The student trainee implemented company-specific adaptations in close cooperation with LieberLieber. Such a project also naturally implies a certain learning curve: “Since during code generation activity diagrams and state machines play the greater roles, the internal learning curve can be reduced to one week. After this time, our developers can already model on their own and generate runnable code – another very positive surprise,” concludes Fuchs. As a next step, a suitable debugging solution is being developed with LieberLieber partner iSYSTEM to complete the code generation. 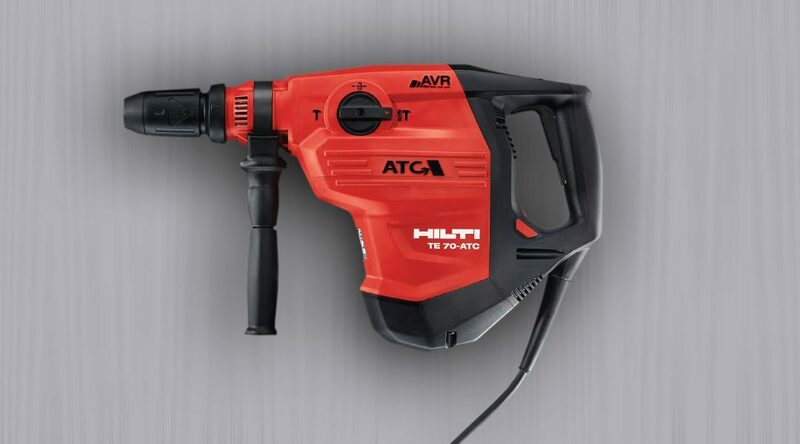 Hilti was founded in 1941 and supplies the global construction industry with technologicaally-leading products, systems and services. The offer the professional builder innovative solutions with dominant added value. Hilti distinguishes itself through outstanding innovation, highest quality, direct customer relationships and effective marketing. Hilti has about 21,000 associates worldwide in more then 120 countries. The headquarters of the Hilti Group is located in Schaan in Liechtenstein.